Over the past fifteen years Northeast Asia has witnessed growing intraregional exchanges and interactions, especially in the realms of culture and economy. Still, the region cannot escape from the burden of history. 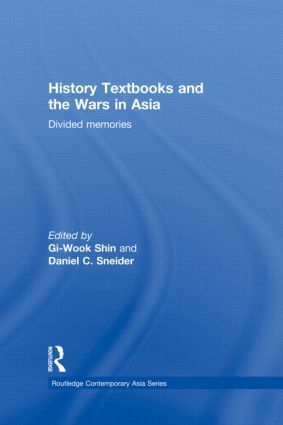 This book examines the formation of historical memory in four Northeast Asian societies (China, Japan, South Korea, and Taiwan) and the United States focusing on the period from the beginning of the Sino-Japanese war in 1931 until the formal conclusion of the Pacific War with the San Francisco Peace Treaty of 1951. The contributors analyse the recent efforts of Korean, Japanese, and Chinese scholars to write a ‘common history’ of Northeast Asia and question the underlying motivations for their efforts and subsequent achievements. In doing so, they contend that the greatest obstacle to reconciliation in Northeast Asia lies in the existence of divided, and often conflicting, historical memories. The book argues that a more fruitful approach lies in understanding how historical memory has evolved in each country and been incorporated into respective master narratives. Through uncovering the existence of different master narratives, it is hoped, citizens will develop a more self-critical, self-reflective approach to their own history and that such an introspective effort has the potential to lay the foundation for greater self- and mutual understanding and eventual historical reconciliation in the region. This book will be essential reading for students and scholars of Asian history, Asian education and international relations in East Asia. Gi-Wook Shin is the director of Shorenstein APARC; the Tong Yang, Korea Foundation, and Korea Stanford Alumni Chair of Korean Studies; the founding director of the Korean Studies Program; Senior Fellow at FSI; and Professor of Sociology at Stanford University. Daniel C. Sneider is the Associate Director for Research at the Walter H. Shorenstein Asia-Pacific Research Center at Stanford University.